Supported by the Mayor of London, the free exhibition, held at the Queen Elizabeth II Centre in Westminster, will showcase the best of affordable homes available across London With 48 exhibitors under one roof, the event gives hopeful buyers the chance to explore the alternative home ownership options available to them, including Shared Ownership and Help to Buy. Hosted by Share to Buy, the UK’s largest online portal for Shared Ownership properties, the bi-annual event is held each March and September and has welcomed over 40,000 visitors since its launch in 2013. Nick Lieb, Head of Operations for Share to Buy, comments: “As house prices continue to skyrocket, more and more Londoners are feeling pushed out of the property market. However, affordable home ownership schemes, such as Shared Ownership and Help to Buy, offer an alternative route onto the property ladder. We understand that for those who are starting out on their home buying journey, these alternative schemes can seem confusing but, with industry experts and the biggest names in first time buyer developments all under one roof, our exhibition is a truly fantastic opportunity for buyers to have their questions answered. We are delighted to be hosting our tenth London Home Show, which is set to be the biggest show to date." 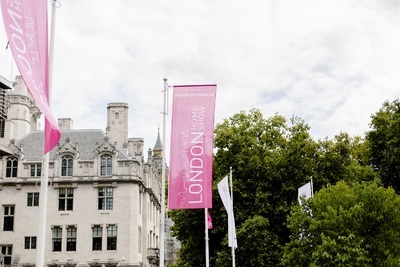 Among the exhibitors will be key players from the London property scene, including L&Q, Clarion, Notting Hill, Crest Nicholson, Southern Home Ownership and Barratt London. Each exhibitor will have their own stand, making it easy for hopeful buyers to speak to sales teams and get their questions answered.